Modest Mama: "I NOTTA GOOD GIRL! I A GOOD BOY!" Hey I see you won something on Grosgrain, congrats! All of her siblings get to be good boys; she should, too. 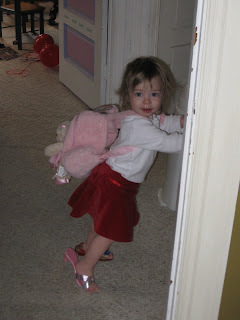 She is ready to go anywhere with that backpack.